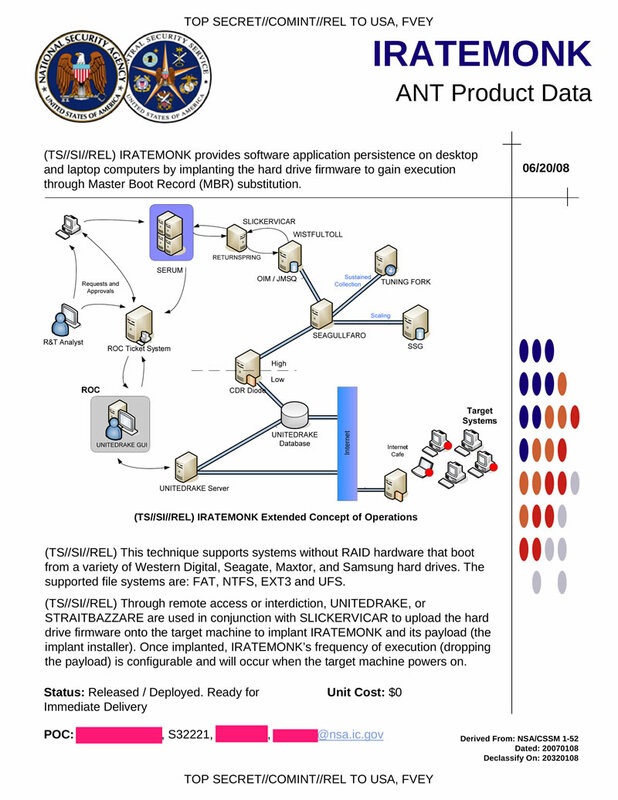 IRATEMONK provides software application persistence on desktop and laptop computers by implanting the hard drive firmware to gain execution through Master Boot Record (MBR) substitution. 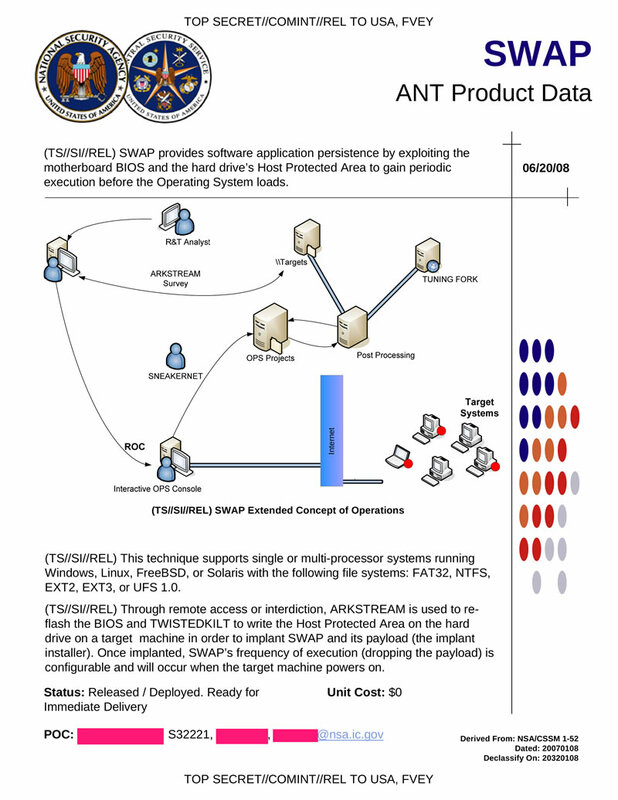 SWAP provides software application persistence by exploiting the motherboard BIOS and the hard drive's Host Protected Area to gain periodic execution before the Operating System loads. 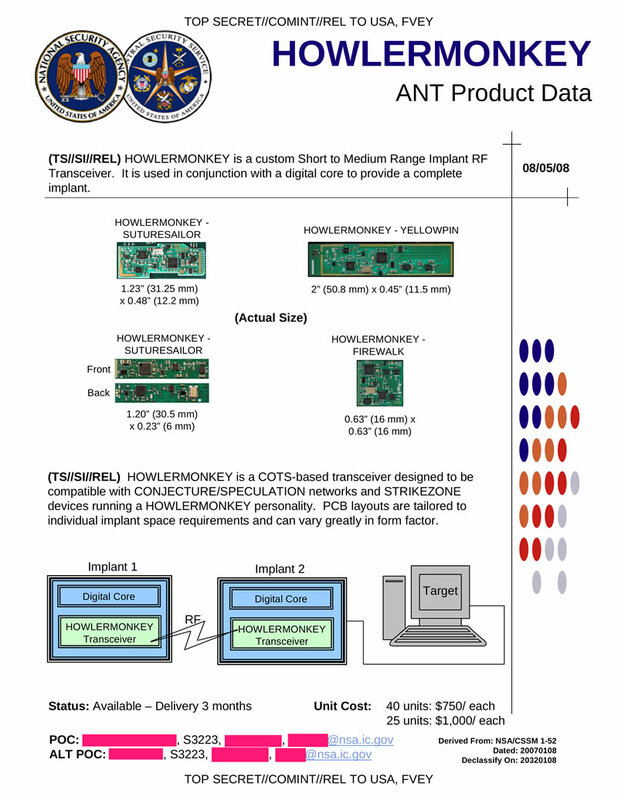 HOWLERMONKEY is a custom Short to Medium Range Implant RF Transceiver. 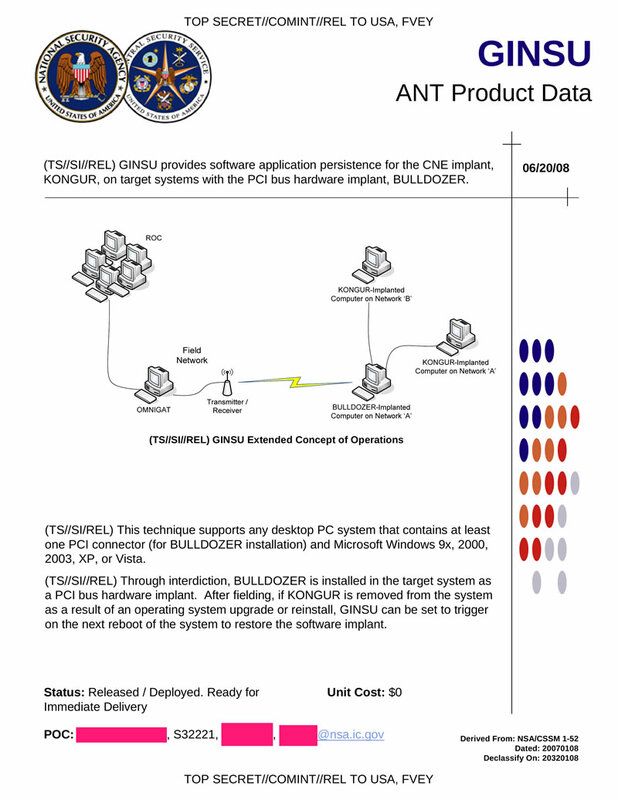 It is used in conjunction with a digital core to provide a complete implant. 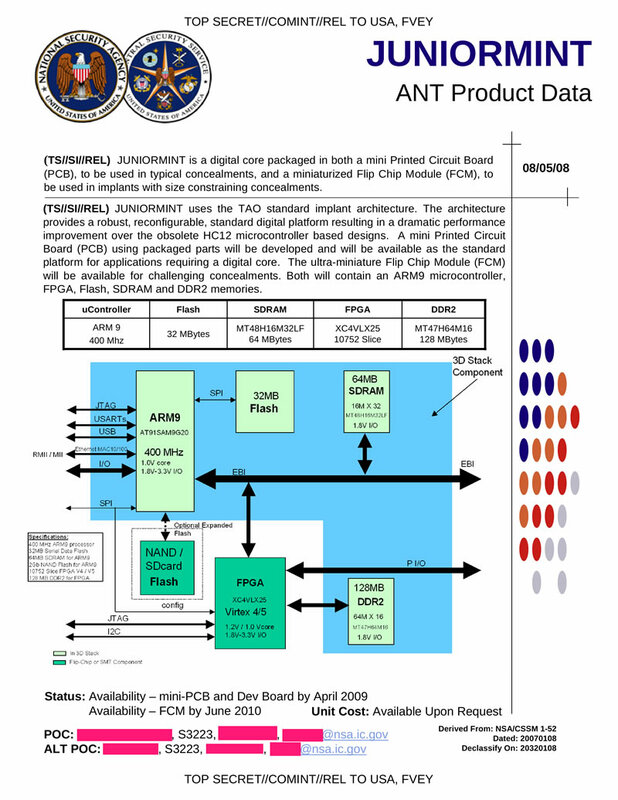 JUNIORMINT is a digital core packaged in both a mini Printed Circuit Board (PCB), to be used in typical concealments, and a miniaturized Flip Chip Module (FCM), to be used in implants with size constraining concealments. 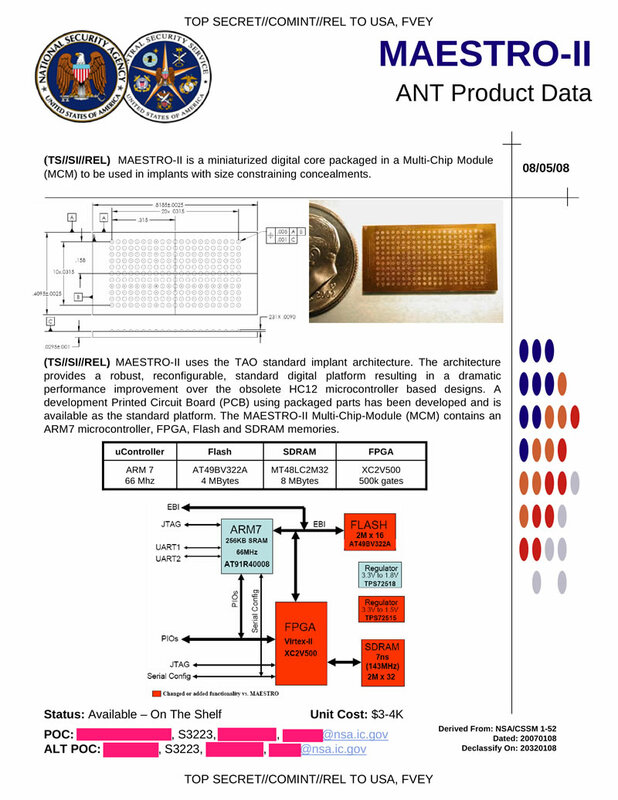 MAESTRO-II is a miniaturized digital core packaged in a Multi-Chip Module (MCM) to be used in implants with size constraining concealments. 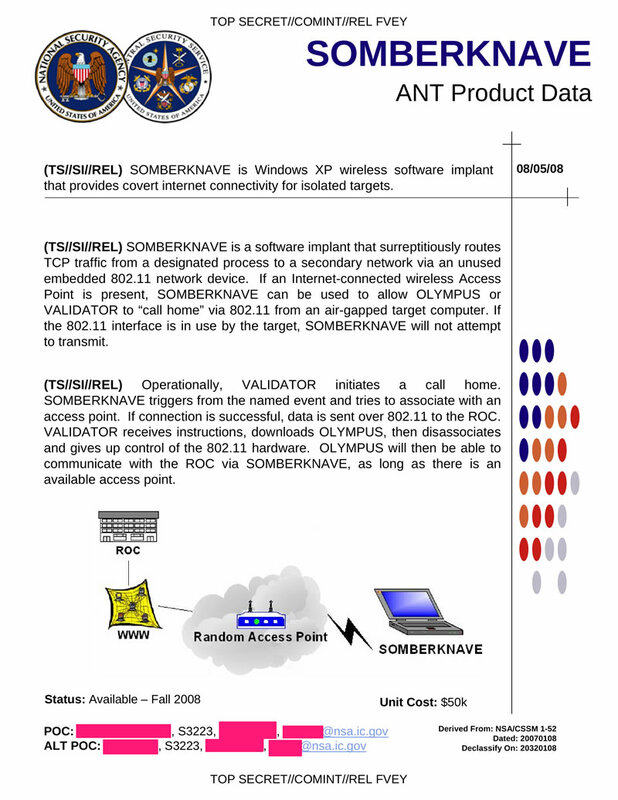 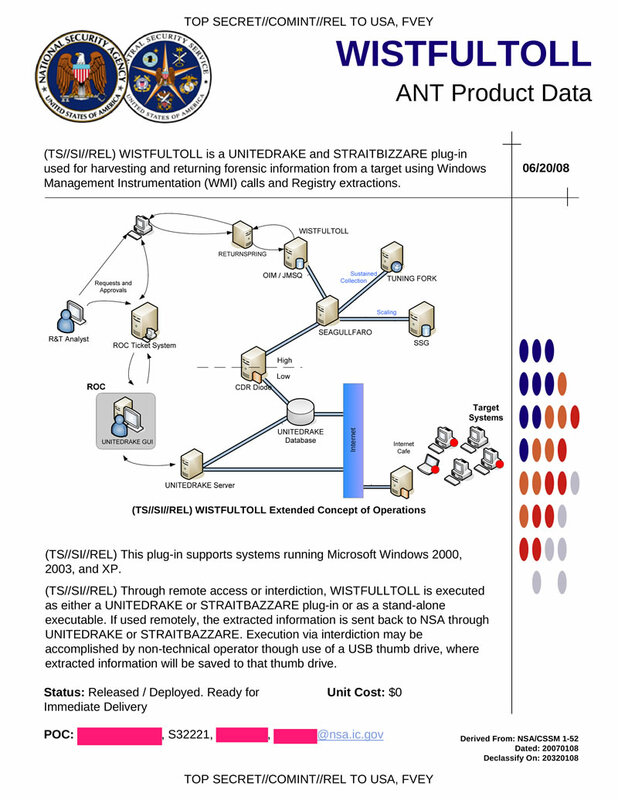 SOMBERKNAVE is Windows XP wireless software implant that provides covert internet connectivity for isolated targets. 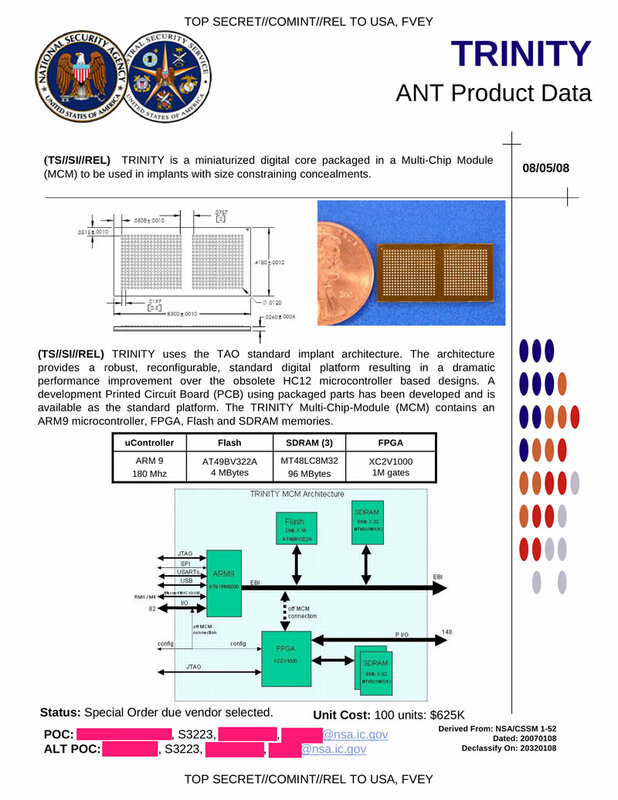 TRINITY is a miniaturized digital core packaged in a Multi-Chip Module (MCM) to be used in implants with size constraining concealments.